Try your hand at Carriage Driving with "Carriage Driving for Two"
There's a safety briefing first, before you mount up for a 30 minute riding lesson. Then it's off into the New Forest for a hack of up to 90 minutes, over heath, through forest, amongst cattle & ponies and then into woodland, home to badger, fox & herds of wild deer. The day starts with a half hour to an hour in the paddock, so that your instructor can assess your ability to plan the next activity. 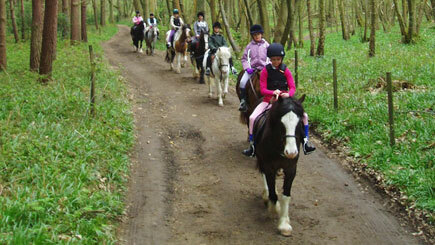 Then you can continue with your lesson or go for a hack in the surrouding countryside and woodland. There's a very informal lunch, too. This is a really lovely day to spend time together as a family, adults & children being with the horses & indulging in horse activities! The instructor will show the kids how to tack up, then there's a riding assessment to plan the next activity. Mums & Dads will be able to lead the children on a hack, before returning to the stables for soup and sandwiches and then there's a horse to groom! The day begins with a riding assessment & an overview of the equipment plus an introduction to the history of jousting. Then it's time to learn more about the art of war, on and off the horse, including neck reining & how to use a flag, lance and shield. You'll have the chance to practice with your lance on the quintaine, a spinning target; and after lunch, there's a choreographed fight sequence. Then dress in medieval costume and put all you've learn into action during a tournament! 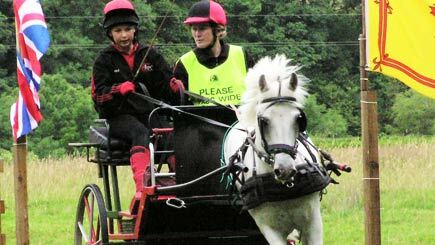 This is a great experience for novices or experienced riders, and the reviews are very good on Red Letter Days' website - people had a fantastic time & have commented on how much fun it was, how kind and helpful the staff were, and how much they enjoyed it and how great the horses were. 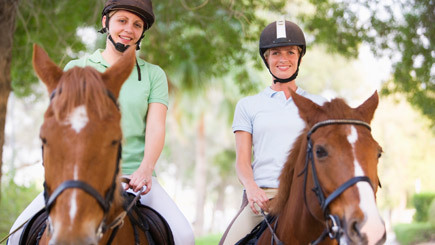 Start with a half hour to one hour lesson in the riding school grounds whehn your instructor will assess your abilities to plan your next activity. Then either continue in the grounds or go for a hack in the countryside or woodland. You'll have three hours riding the hack, taking place before and after a typical stablehands lunch of lasagne and salad with everyone around the big table in the farmhouse. 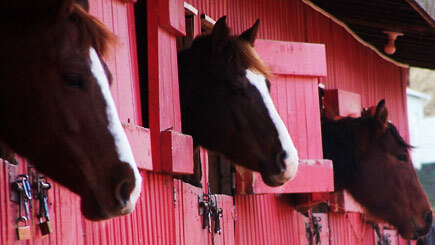 The riding centre is set in 20 acres at the foot of the Epsom Downs. Start with coffee & biscuits while you register, and there's also a safety talk. You'll also be asked to choose your lunch from the menu, and then it's time to get to know your horse & the instructors will assess your skills in the arena. 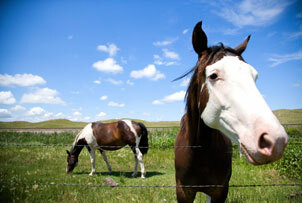 Ride to the beautiful area of Headley, where you will stop and tuck into the picnic, before riding back to the stables. You'll spend about 3 hours in the saddle with an hour for lunch. This is a great little gift for any pony or horse lover, something which gives them the chance to take a interest in that wonderful breed, the Exmoor, and supports the work being done to conserve them. 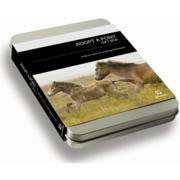 The Adopt Pony Gift Box includes a Welcome letter, Explanation of your gift, Gift registration instructions, Presentation certificate & Personalisation pen, Information about the Moorland Mousie Trust & the Exmoor Pony Centre and a booklet about endangered Exmoor Ponies. Excellent value and a well deserving cause.